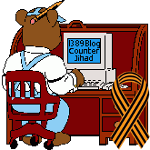 British PM David Cameron orders inquiry into activities of Muslim Brotherhood — 1389 Blog - Counterjihad! Yes, this is April 1, 2014. No, this isn’t an April Fools’ Day hoax. I’m as surprised as you are that somebody in a western government is finally waking up to the Muslim Brotherhood menace. Could it be that the efforts of the counterjihad community to educate people are finally showing results? Keep up the good work, everyone! David Cameron has ordered Whitehall officials to launch an investigation into the Muslim Brotherhood – drawing on assessments by MI5 and MI6. A Downing Street source confirmed that the review would examine allegations that the Muslim Brotherhood was behind the murder of three tourists on a bus in Egypt in February and that it planned extremist activities from Britain. The No 10 source confirmed a report in the Times that the investigation is being launched as the prime minister faces pressure to follow the example of Egypt and Saudi Arabia, which claim that the Muslim Brotherhood uses London as a crucial centre for its activities, to ban the group. The Times reported that MI6, Britain’s overseas intelligence agency, would examine claims that the Muslim Brotherhood was behind the bus attack in Egypt. MI5 will assess how many leaders have been based in Britain after last year’s coup in Egypt in which Mohamed Morsi, the Muslim Brotherhood president, was ousted. The regime of Abdel Fattah el-Sisi, the head of the Egyptian armed forces who played a leading role in the overthrow of Morsi last year, has placed the former president on jail where he awaits trial for treason. Morsi was the candidate for the Muslim Brotherhood’s Freedom and Justice party for the 2012 presidential elections in Egypt. Cameron ordered the investigation after it was concluded that Whitehall has insufficient intelligence about the Muslim Brotherhood’s activities in Britain and in Egypt. Downing Street has asked Sir John Jenkins, the British ambassador to Saudi Arabia to draw up a report on the Muslim Brotherhood’s “philosophy and values and alleged connections with extremism and violence”. Sir Kim Darroch, the prime minister’s national security adviser, has already started work. A key role will be played by Sir John Sawers, the current chief of the Secret Intelligence Service (MI6), who served as UK ambassador to Egypt between 2001-03. Sawers, who had previously served as Tony Blair’s foreign affairs adviser in Downing Street, had strong contacts with the regime of the former president Hosni Mubarak. Stunning, I say! So, let me get this packaged right. Treasonous leaders in British Gov. set off a People Bomb spreading Muslims all over Great Briton. Then, way way down the road, someone, in this case PM Cameron, takes notice of these nasty ALIENS and wants to know more about their activities? Kind of like leaving the barn door open, all of the horses run out and off, and then you want to talk about that door being left open so many years ago. Too late. I suppose the People of Briton could rise up out of their collective stupor, rise up and hang the Treason addled traitors, rise up and round up EVERY Muslim and toss them back into their beloved Hell Holes. This might be too much to ask, but it is a fun thought. Scotland had best get busy in being fully independent, seal up its border to keep the Scottish People and Nation from being mongrelized. Ireland too. The clock is ticking. Funny, I wear the Cameron Tartan. I agree, too little, too late, but it’s a start. We have to keep the pressure on all our politicians everywhere so that investigations like this one don’t get deep-sixed.